Thanks to all who entered, and please check back later this week for my next HUGE giveaway - a 2 night stay in Florida!! Happy Sunday, friends! It's been the most beautiful Fall Sunday here in Atlanta - the temps were in the 60's and life is GOOD! And now...I am so very excited to share this giveaway with y'all! Erin Branscom is the sweetest lady! She is a fun mommy blogger and a Shaklee Distributor. She asked if I'd be interested in reviewing their Basic H2 Organic Super Cleaning Concentrate which is all natural and non-toxic. Since Katie has asthma, cleaning can be dicey if I'm busting out the bleach or other stinky cleaners. They can really mess with her, and lately I've had a problem with the fumes from bleach - I have to open every window, turn on fans, etc to be able to breathe! So a non-toxic cleaner really sounded great - IF it would clean as well as my bleach or other cleaners. And get this - one 16 oz bottle makes 48 GALLONS of cleaner!! She sent me a vial of their Basic H2, which made two spray bottles of cleaners. One bottle of all-purpose kitchen/bathroom cleaner one bottle of window and glass cleaner. (I grabbed two spray bottles at Dollar Tree to use for this) I was really impressed with how much cleaner I was able to make from the small vial, and it worked great! I cleaned the master bathroom sinks and the mirror in there, and my kitchen windows too, all with great results. 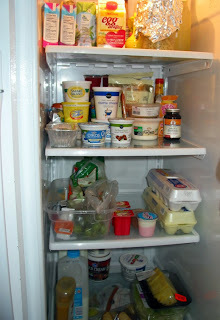 Then I tackled the fridge - it was a job I'd been putting off! Are my kids the only ones who let ketchup drip down the side of the bottle as they put it up and then it gunks up under the jar/bottle? Same with caramel sauce and chocolate syrup....it was a mess in there! But the Basic H2 spray cleaners took care of the glass shelves, the walls of the fridge, even the drawers and door shelves! I used both the all purpose cleaner and the glass cleaner to get this big job done, and now my refrigerator is sparkling clean again! And there's no strong fragrance left behind from the cleaner - that might be my most favorite thing about using Basic H2! My sparkling clean fridge - love it! No "before" pic of this - I completely forgot to charge my camera! Erin also sent me a container of Shaklee's Scour Off Heavy Duty Paste. Oh, how I love this stuff!! It smells like bubble gum according to my kids - very pleasant! Now, I'm gonna make a confession. 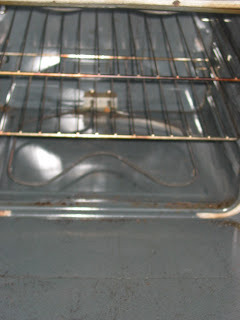 My oven had not been cleaned in over a year. About two years ago, the self cleaning function stopped working. So last year I had to clean it with one of those super stinky spray on/wipe off cleaners. Not. A. Fun. Job. To say I'd been putting off doing that chore again is an understatement! When I got the Shaklee scouring paste I knew the time had come to tackle this job again. Not perfect - but almost! There are still a couple of places I may have to chisel some permanently burned-on things off, but I'm thrilled with how it looks now. To my surprise, it was truly pleasant to clean with this scouring paste from Shaklee!! So now on to the giveaway: click the "read more" link to enter through my rafflecopter widget. There is one mandatory entry, and lots of extra entries too. Good luck!! STILL LOOKING FOR THAT STAIN REMOVER THAT ACTUALLY WORKS! WOULD LOVE TO TRY THE "Nature Bright® Laundry Booster & Stain Remover"
Stopping by from the alexa hop! I'd love it if you'd stop by my page at http://moneysavingmindy.blogspot.com. Thanks, and have a great day! I commented on the post: Recycling = cute organizers!! 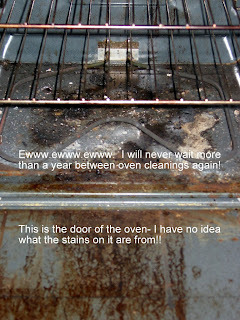 I visited Erin's site and I would love to try the Basic H and Basic G to make my own cleaner and disinfectant! Hi thanks so much for the giveaway! visited her site and i wanna try"Nature Bright® Laundry Booster & Stain Remover"
I would like to try the probiotics for kids on my son. 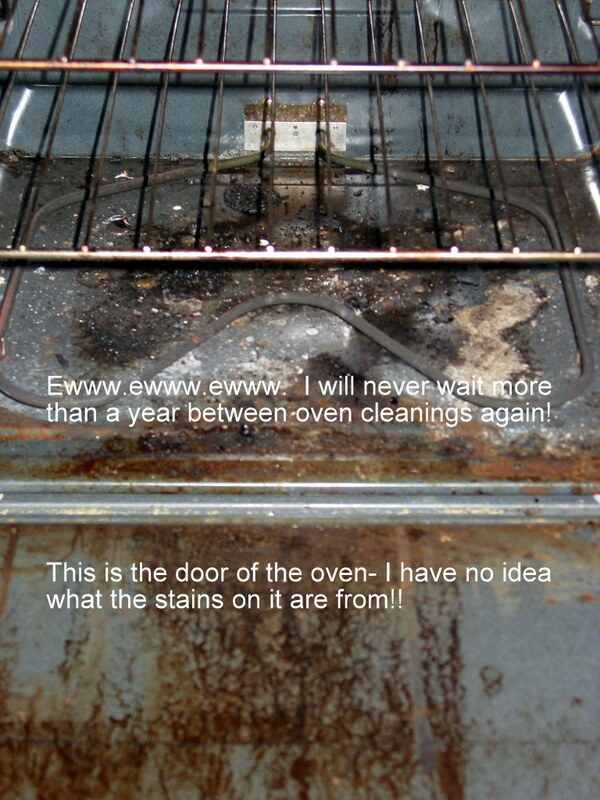 I would use that scrub stuff for the oven, my oven needs it bad. WOW- that looks like good stuff!! Anything that can clean a stove without all the harsh chemicals and fumes gets a A in my book! I will to try it. I am out checking out blog from the Alexa hop. Glad I found you- Hope you will swing by and say hi. I would love to try the Fresh Laundry Fragrance Free Concentrate! i love your blog!! I might start blogging again, myself, one day!